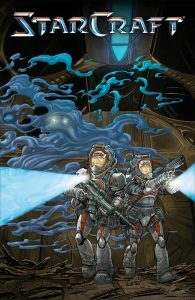 Dark Horse and Blizzard Entertainment are excited to announce a new four-issue comic series: StarCraft: Scavengers. This comic series is the latest addition to Dark Horse and Blizzard Entertainment’s line of critically acclaimed publications, preceded by The Art of Overwatch, Overwatch Anthology: Volume 1, and World of Warcraft Chronicle (volumes I and II). 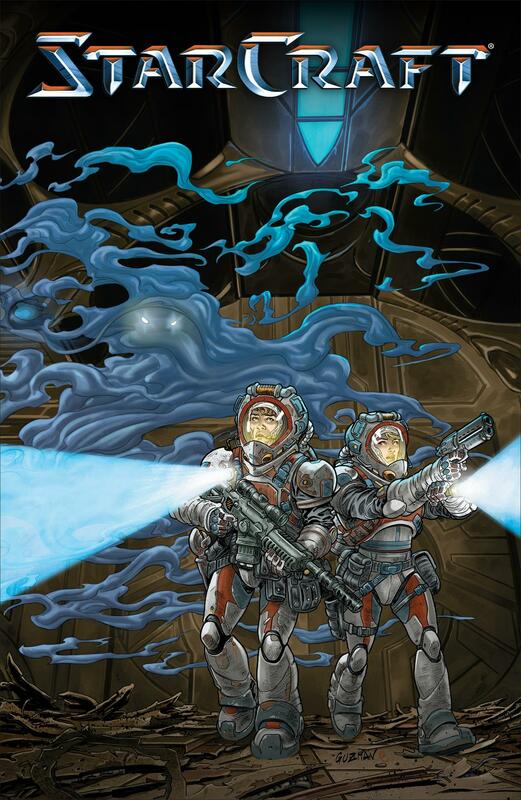 Writer Jody Houser (Mother Panic, Faith) and artist Gabriel Guzmán (Star Wars) join forces for StarCraft: Scavengers, a new comic series further exploring the expansive universe of Blizzard’s acclaimed science-fiction real-time strategy game series. In StarCraft: Scavengers, a group of terrans hopes to pull off the job of their lifetimes: pillaging a derelict protoss ship in a decaying orbit above an uninhabited planet. The scavengers’ dangerous mission is seen from the point of view of a young, inexperienced engineer. The team must scavenge the ship’s priceless tech before it burns up in the planet’s atmosphere, but can they beat the clock and avoid being busted by Dominion police forces? Originally released by Blizzard Entertainment in 1998, StarCraft is a real-time strategy game that chronicles the interstellar war between three galactic species: the protoss, the zerg, and the terrans. The saga continues in the acclaimed sequel StarCraft II, which is now available free-to-play—including the epic, award-winning Wings of Liberty™ campaign.